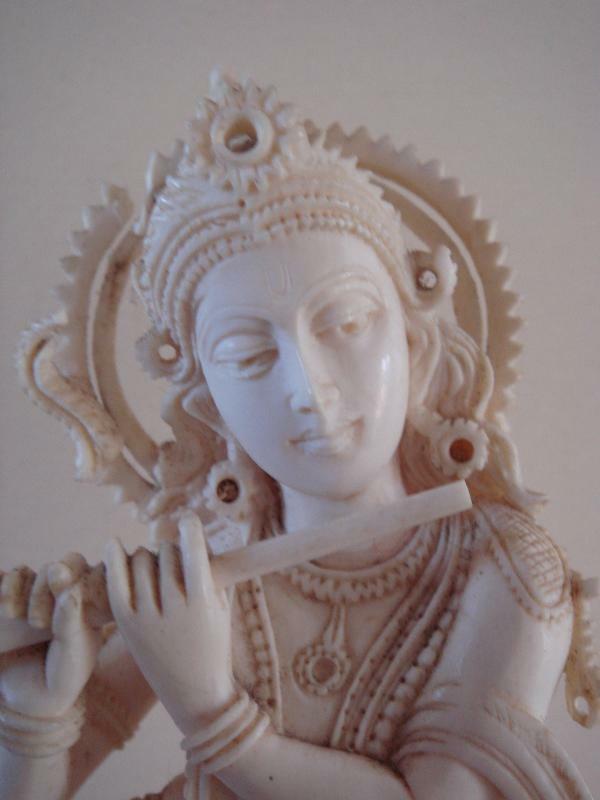 A fine carved ivory figure of Krishna playing flute in his classic pose. Slight and un-noticeable damage to the halo and crown. 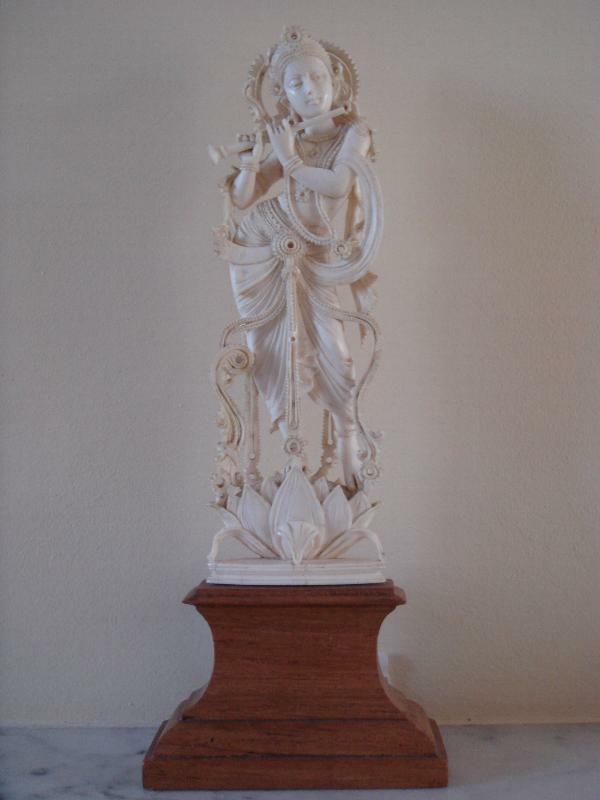 Circa early 20th centuary.Dimensions: H 7in (18cm) including base.